View all of our reviews on Shopper Approved! "I want to let you know how happy I am with the service we received from Chris. He was quick and efficient." "Your technicians Tony and Aaron provided us some of the best customer service that we have ever received and we would like to see these two gentleman recognized and given a gift card of some kind (even if we have to pay for it ourrself). When you get this kind of service you are absolutely thrilled because it's so rare these days. They were extremely pleasant, spoke properly and it was a sheer pleasure for us to deal with them. We were so impressed that we had to let you know that you really have some good employees and to make sure that they are recognized." "Sometimes the true measure of a company is what happens when things don't go perfectly. Even though we had problems getting our parts on time, it is not a reflection of the excellent service and demeanor of Kyle Oliver, our technician. Kyle handled the frustrating situation (which was not his fault) very well and because he was so sincere and service oriented, we would use your company again. Kyle is a great representative for your company." "Your technician was fantastic! He arrived early, was knowlegable and professional. The installation was timely. I just had to let you know he was the best!" "Excellent job and the technician was very knowledgeable. He explained ALL questions we asked in detail and informed us of everything he found wrong in a timely manner." "I would definitely use your service again." "Kyle came out and resolved our problems, replaced warn parts and provided great customer service. He upheld the integrity the company is known for". "Your technician was very courteous. We would 100% use him again. We all need more employees like him". 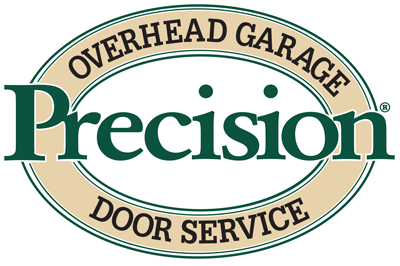 "Kyle was not only professional and knowledegable but went above and beyond his work by trying to help sync my new car with the garage door opener. I appreciated Kyle's efforts and even though it wasn�t what he was there for I love the fact that he was so willing to help with this issue".